DALLAS, TX, Nov. 29, 2018 — Heart disease remains the leading cause of death in the U.S. and stroke continues to rank fifth, according to the National Center for Health Statistics Mortality Data Report for 2017. There is an expanding body of scientific study that supports a link between cardiovascular disease risk, cognitive decline and Alzheimer's disease. The Association is investing millions of dollars into research to learn more about how the circulatory system affects cognitive impairment. Additionally, more education resources on the connection between the heart, brain health and stroke prevention are being developed. Research shows people living with diabetes are at least two times more likely to develop and die from cardiovascular disease. 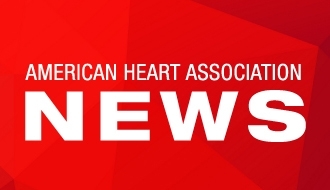 Working with the American Diabetes Association, the Association recently launched a landmark health initiative – Know Diabetes by Heart™ - aimed at reducing cardiovascular deaths, heart attacks and strokes in people living with type 2 diabetes. This Mortality Data Report also shows infant deaths from congenital malformations decreased in 2017. Benjamin said while the report doesn’t specify death rates for specific types of congenital malformations, this is heartening news as it could reflect fewer deaths from congenital heart defects (CHD). He noted the many advancements in this area and the Association’s work to improve outcomes for children born with CHD through an aggressive research initiative with the Children’s Heart Foundation. Overall life expectancy (at birth) continued to decrease by approximately 1.2 months between 2016 and 2017, similar to the amount of decline observed between 2015 and 2016. In 2017, life expectancy at birth was 78.6 years for the total U.S. population – a decrease from 78.7 years in 2016. Death rates increased between 2016 and 2017 for age groups 25–34 (2.9 percent), 35–44 (1.6 percent) and 85 and over (1.4 percent). The death rate decreased for age group 45–54 (1.0 percent).